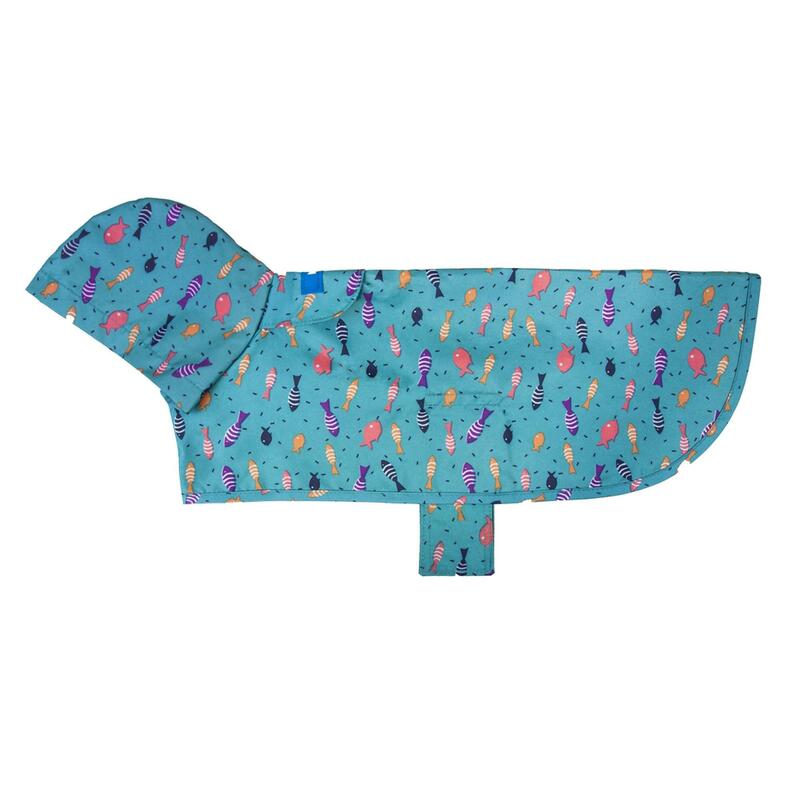 Your pup will feel like their swimming with a school of fish while staying dry in the stylish and functional Shoal Packable Dog Rain Poncho! 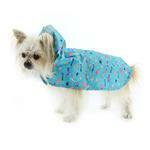 The Shoal Packable Dog Rain Poncho is perfect for a rainy day. This rain poncho's lightweight packable design snaps easily onto your dog's leash. It's the perfect size to keep in your car's glovebox or in your purse so you'll be ready for whatever Mother Nature throws at you. This raincoat is lightweight, water-resistant, and features a covered leash access hole for convenience and protection against moisture. The hood provides extra protection from the rain. This cheery colorful fish pattern is a great way to brighten up a gloomy day. 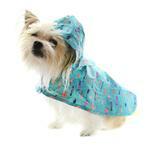 It would be perfect for a rainy Easter or any occasion! This packable rain poncho for dogs is available in a wide range of sizes to fit virtually all dog breeds (from 5 pounds to 120 pounds!) The travel pouch is still very compact even on the largest dog rain jacket sizes. 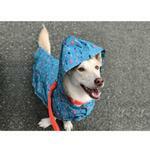 Shoal Packable Dog Rain Poncho Customer Photos - Send us your photo! Posted On 07/27/18 by Deborah Q from Biloxi, MS Yes, Deborah Q recommends this product! Posted On 05/15/18 by Korena S from King City , OR Yes, Korena S recommends this product! I was surprised how much I really love this pattern. It’s a brilliant blue that looks so nice on my chocolate cocker. These ponchos are perfect for light rain. We love the Gooby harness for our Papillon. It fits perfectly and we have no problem getting her into or out of it! Our vet was happy to see her in a harness since small dogs tend to have a sensitive or weak larynx. The front carrier we ordered will be great for taking her on bike rides and into dog friendly stores.